For the past several semesters, I’ve offered students in my US History to 1877 survey the option of completing an “unessay” in place of a traditional research paper. Like almost all of my pedagogical innovations, the “unessay” was borrowed and adapted from someone else. Emily Suzanne Clark introduced me to the concept of the unessay in a January 2016 post at Religion in American History (a more detailed description of the assignment is available here). As Emily notes, she in turn borrowed and adapted the idea from Ryan Cordell, who borrowed and modified it from Michael Ullyot and Daniel Paul O’Donnell. The core aim of the assignment is to free students from the constraints of the traditional essay and to spur them to think, research, and write (or not write!) more creatively. I was immediately intrigued, but at the time I was only teaching the first half of the US Survey. The other professors above had assigned the unessay in upper level Religious Studies, English, and Digital Humanities courses. Would it work for an intro-level US history course composed almost entirely of non-majors and –minors? I decided to give it a try the following semester, and to my great delight, the students’ exceeded my expectations. And in each subsequent semester, they’ve continued to exceed my expectations. In fact, I’ve become convinced that the unessay is particularly well suited to introductory history classes like the US Survey. Let me explain why. The unessay, in my experience, has proved especially attractive to non-majors and –minors with little previous interest in history. Thinking beyond the confines of the traditional essay often results in them thinking beyond the confines of traditional subject material, too, and students in my class have used the project as an opportunity to explore those aspects of the early American past left underexplored in the textbook and only tangentially covered (if at all) in our class discussion: the history of dance, the history of music, and the history of food have all proved particularly popular. Oftentimes, this means students more fully engage with the history of their chosen major than they otherwise would, and the unessay allows students to bring their own disciplinary interests and expertise to bear on historical research. I have had public health majors research the history of infectious diseases and early public health efforts in America, and then create public health posters for their project. A nursing major wrote a short story about Elizabeth Blackwell’s first day at Geneva Medical College, drawing on Blackwell’s extant writings and other primary sources. That student noted in a postscript that her research helped her gain a deeper appreciation for pioneering women in medicine in the nineteenth century, and made her own training in the field more personally meaningful. Some of the best unessays not only help the student gain a deeper appreciation for the subject, but also make me think about history in new ways, or from fresh angles. 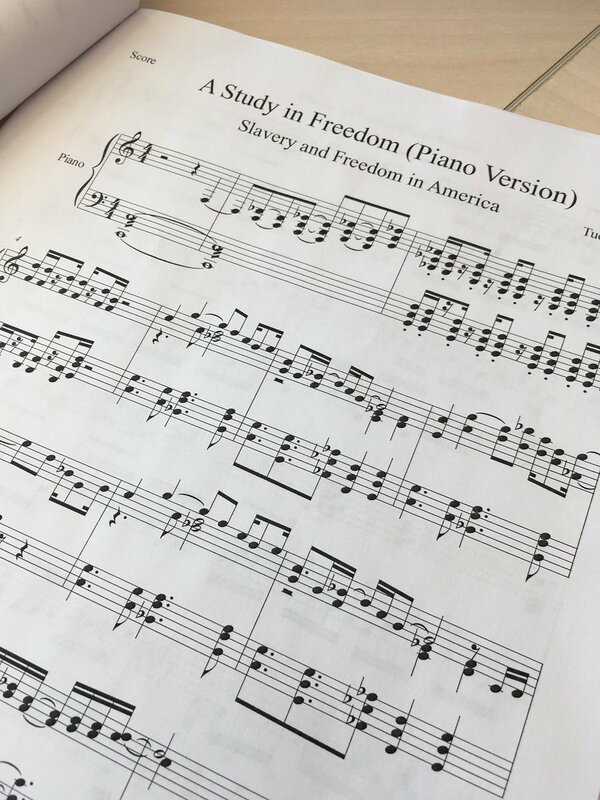 A music performance major went above and beyond in composing an original piano piece about early American slavery and freedom. He also submitted an audio recording of him performing the piece, which included alternating 3rds and 5ths to signal the 3/5 compromise and a flurry of 16th notes representing the chaos of slave rebellion and Civil War. 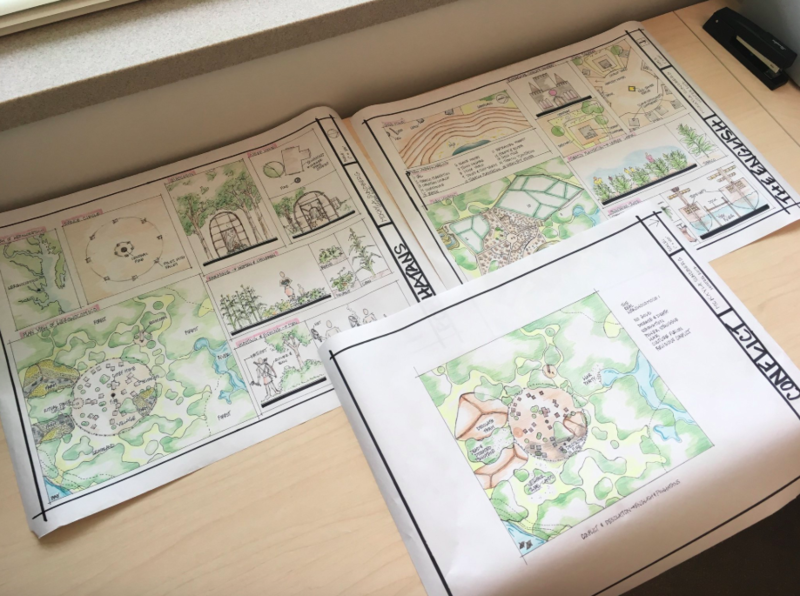 Perhaps my favorite projects to date came from a Landscape Management student, who, drawing on archaeological and historical research, created landscape blueprints of a Powhatan Village, Jamestown Settlement, and the ensuing conflict between the English and Powhatan peoples. In addition to helping me visualize early English colonialism in new ways, she was able to share her work with her Landscape Management professors to demonstrate the broader applicability of her education AND the importance of history to her studies. One of my central aims when teaching the survey course is to spark students’ interest in history and help them understand its importance. This is especially crucial in an age of declining majors and enrollments in history courses. The unessay goes a long way toward accomplishing that goal, and multiple students note in their end-of-semester student evaluations how the project made history come alive for them in unexpected ways. It also gets them to do actual research in scholarly books and articles and in primary source materials. I encourage them to take advantage of BYU’s Special Collections and extensive book and article holdings, as well as online databases and digital history projects relevant to their research. The unessay also allows students to take advantage of other on-campus resources. 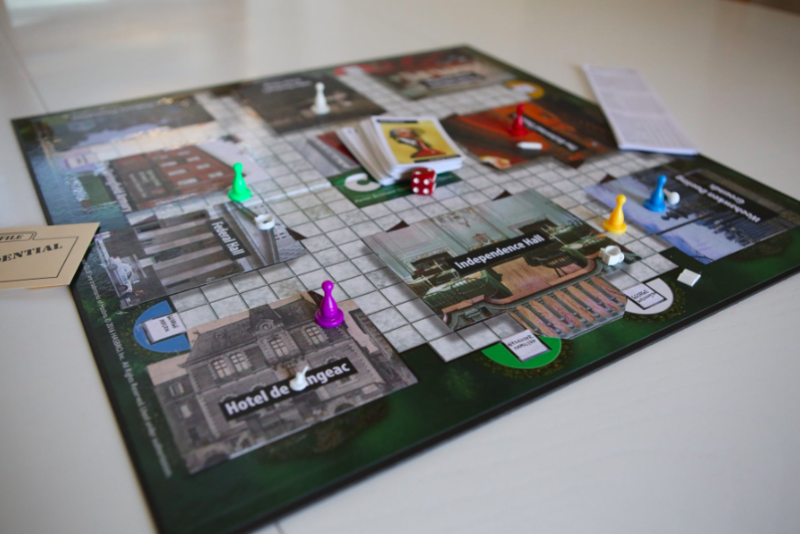 Students have created documentary shorts using the university’s media lab, musical recordings and podcasts in the library’s professional sound recording studio, and the library’s 3D Printing Lab (to create the pieces for this incredible version of the board game, Clue: The Constitution Edition). Firstly, the projects I share on social media are often limited to the best unessays submitted that semester. There are mediocre (and occasionally poor) projects turned in, too. But this is really no different than the breakdown for essays submitted, and in fact, I think I get fewer poor unessays than I do essays. And, to be clear, I still do offer students the option of writing a traditional essay. On average, about half of the students in each class take that option. Regardless, I require each student to schedule a short (5-10 minute) meeting with me during office hours early in the semester, to discuss their proposed topic and project, and to collaboratively come up with a plan of action. I recommend relevant readings, answer any questions they might have about appropriate and less-reliable sources (especially online sources), and, if they opt for the unessay, make clear my expectations. I often require the student to submit a short writeup and/or annotated bibliography with their project, so that I can see the research that went into it, and so that they can walk me through the argument or analysis their visual, musical, and other type of presentation advances. If you’ve assigned the unessay before, please share your experience in the comments below: What worked well? What didn’t? *Christopher Jones can be found on Twitter at: @ccjones13. Fat enters the system where it may help to handle other fats from the bloodstream.